Boreal Mountain Resortâs newest feature, The Slabs, opened to the public in August, adding mountain biking to the list of activities at the resort. As the summer season winds down, Boreal Mountain Resort is throwing one last summer bash on Saturday, Sept. 16, with the resort’s third annual Woodward Community Day. 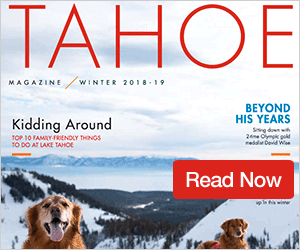 Highlighting this year’s event will be a tour of Woodward Tahoe’s indoor facility, the resort’s new mountain bike park — The Slabs, performances by the Red Bull Sky Divers, and a celebration of the groundbreaking of Boreal and Woodward Tahoe’s new solar project. 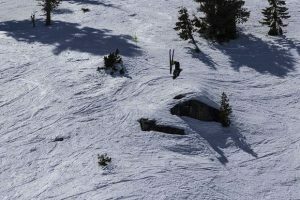 During the festival, POWDR Corp., which operates Woodward Tahoe and Boreal, will unveil what will eventually become the California ski industry’s largest onsite solar project. “POWDR intends to ‘Play Forever,’” said Laura Schaffer, director of sustainability for POWDR. “We believe in the idea that recreationists — as well as the operators of recreation venues like Boreal Mountain Resort, Soda Springs, Woodward Tahoe, and other POWDR properties — have a responsibility to care for the places where they play, thus protecting the adventure lifestyle for generations to come.” Once finished, the 235 kilowatt photovoltaic (pv) system, is projected to generate more than 325,000 kilowatt hours of electricity annually, according to information from Boreal Mountain Resort. That is enough to power the equivalent of nearly 30 residential homes. The project will also offset more than 250 tons of carbon emissions, which is the equivalent to removing roughly 52 cars from the road annually. The new system is on schedule to be operational by the beginning of the 2107-18 winter ski season. OpTerra Energy Services, a subsidiary of ENGIE, will oversee the installation of the solar equipment. The resort will celebrate the installation, starting at 10 a.m. on Saturday when Woodward Bunker opens and tours begin. During the community day the resort with have information booths by Boarding for Breast Cancer, The High Fives Foundation, Truckee Tahoe Humane Society, and others. 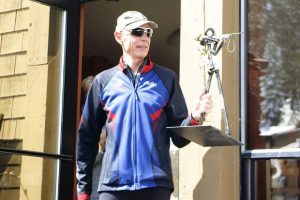 There will also be music at the Woodward Bunker from 10 a.m. to 1 p.m., raffle drawings, Red Bull Air Force sky diving performances, and live music until 4 p.m. from Truckee Tribe. Entry to the event costs $10. 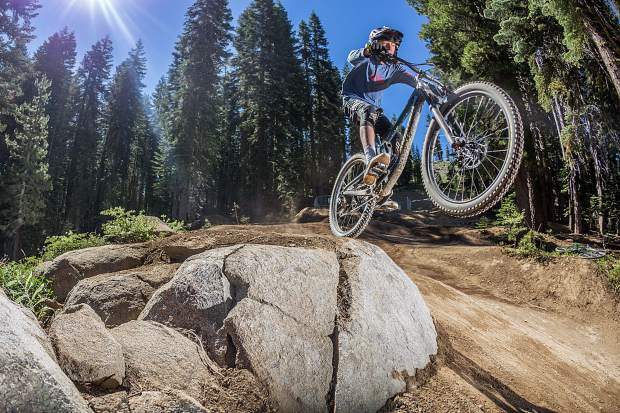 Boreal’s newest addition, The Slab, opened to the public on Aug. 18, and with it, the resort joins Northstar California Resort as the area’s only two resorts to offer lifts for mountain bikes. The mountain bike park uses Castle Peak chairlift to give riders access to three trails ranging from beginner to expert. Lift tickets for The Slabs are included with the price of a Bunker Season Pass or a Daily Session pass. Bunker Daily Session passes last for 3 hours and range from $44 to $54 depending on date. For more information visit Woodward Tahoe.com.